I recently made the trip to Birmingham to carry out an interview for the podcast I do (it’s not about food, but rather broadly-defined change-makers). I figured that, since the interview was scheduled for the afternoon, I might as well see if I could dig out somewhere interesting to have lunch. 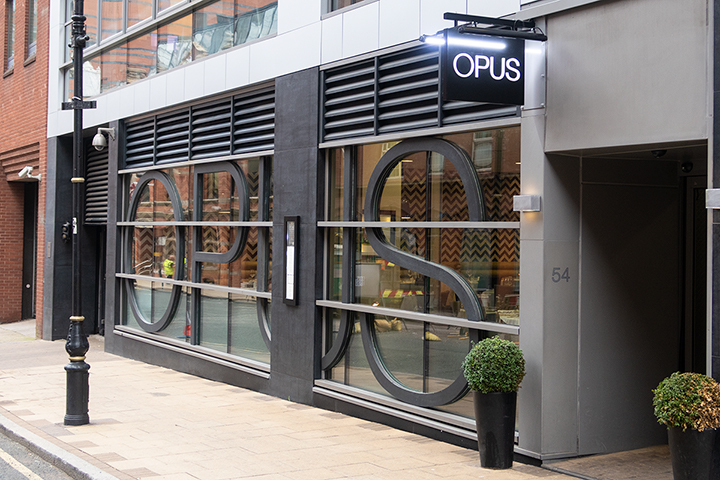 Google ‘sustainable restaurant Birmingham’ and the restaurant Opus bursts into view. In 2015 it celebrated on its blog (already distinctive - not many restaurants carry a blog on their site) having received high marks from the Sustainable Restaurant Association, putting it in the top 9% of SRA members. It says it values ethical and sustainable sourcing, with a high percentage of ingredients sourced from local suppliers. It even hosted a number of Source Dinner events a couple of yeas ago to celebrate some of its valued local suppliers. Opus focuses on British cuisine and promises vibrant colours and bold tastes. It sounded just the job, so I reserved a table online and looked forward to discovering a new place. Fortunately for me, I didn’t notice the Guardian’s occasionally grumpy Jay Rayner’s stinking review from 2011, which read more like he’d gotten out of bed the wrong side that day than anything that the restaurant had actually done wrong. In any case, even if his moans had been justified seven years ago, they certainly didn’t apply to my visit. I was the first to arrive, given my tight schedule, and I was loaded down with audio and camera equipment. It seemed like a pretty well-heeled establishment, and I thought they might raise an eyebrow or two at this heavily-laden beast of burden that had ambled in off the street. But they could not have been more welcoming - immediately offering to take bags to store, and showing me to my table. Of course I requested a window table (natural daylight for the purposes of photography - such geeks we become) and then I was able to peruse the menu at leisure. 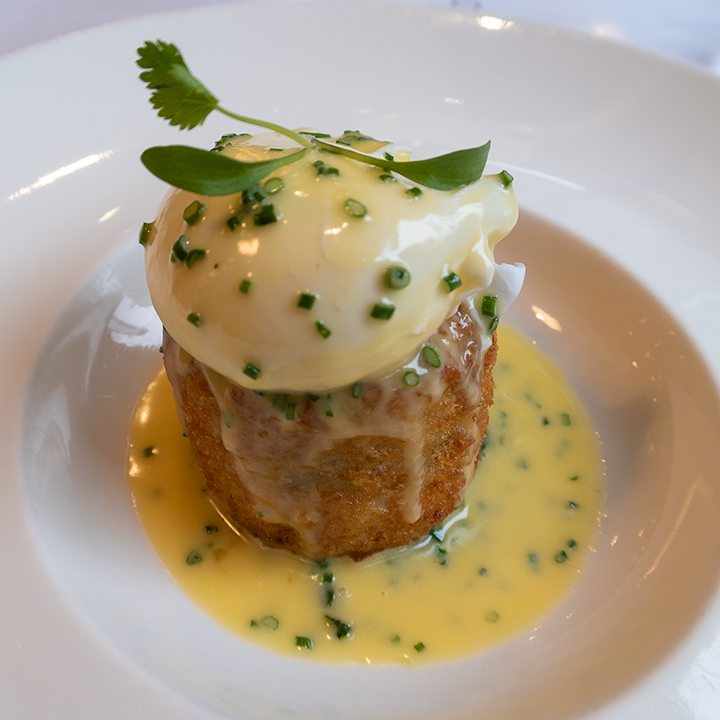 I figured seafood was the way to go this lunchtime, so I ordered a leek and haddock fishcake with a poached egg and butter sauce for a starter. The fishcake was really tasty, and the poached egg was done to perfection. It was quite possibly the best fishcake I’d eaten - and certainly was the most elegantly presented. 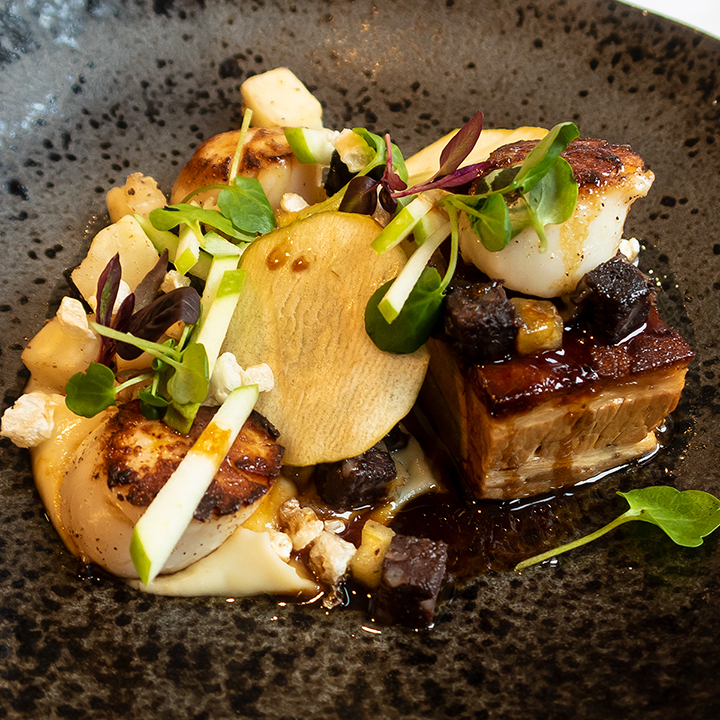 For the main, I had Seared Brixham Scallops and Confit Pork Belly, with salt-baked celeriac, green apple and black pudding. If the first course was great, this one was spectacular. The pork belly was beautifully cooked, and the flavours just all worked so well together - it was a real treat. As they say, it “ate well”. Generally, I must say I find Birmingham a dismal place. I’m allowed. I was born there (or nearly anyway - technically just outside the border). I associate it with the awful 1980s food of my youth. It’s no doubt unfair, but there you go. But if I were based there now, Opus is one place that would see me rather often, and where I would have a preference to take guests I wanted to impress. I'm Mallen Baker. I've spent thirty years working on sustainability with a focus on business (corporate social responsibility). I'm passionate about great food, and wanted to share ideas, analysis, recipes and information about delicious food with a nod towards sustainability. © 2019 Mallen Baker. All rights reserved.